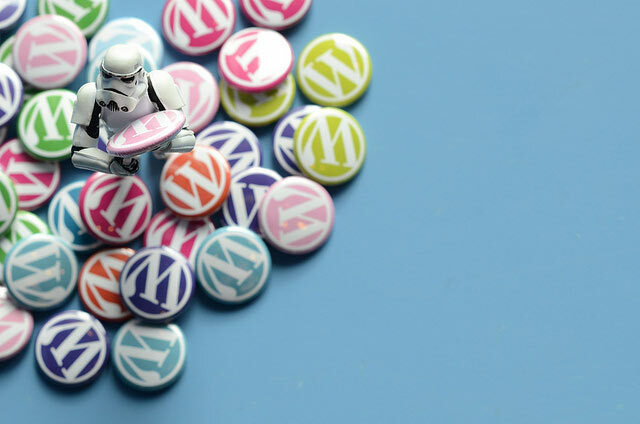 WordPress is allegedly one of the most popular content management system in the world right now – for some good reasons. With a raving community of developers, there are so many WordPress plugins developed and launched out there, that can make life so much easier when it comes to managing your company website. If you are looking for one or two free plugins for your WordPress-powered site, I do have some recommendations for you. Here’s a list of 12 great WordPress plugins that’ll make tasks like content creation, social sharing, subscription-handling, and site maintenance way less stressful for you and/or your employees! Watermark is an essential plugin for any site that offers photo content. It applies a watermark to any photos that are “downloaded” from your site using a browser. Any time someone downloads an image from a site using Watermark, it will be a watermarked image. The watermarks aren’t visible when viewing images on your site, and you can still download them via FTP anytime you want without the watermark being applied. Great for copyrighting your images. This free plugin allows you to hit your visitors with an “exit pop” whenever they try to leave one of your pages. You’re allowed to have two pop-ups configured at a time while using the free version – any extra and you’ll be required to upgrade to the pro version. For most businesses, one or two exit pops to test is just fine. You can set it up for individual pages and are able to upload your own, custom HTML contact form too. This is an indispensible tool for anyone running single or multiple social accounts on each network. Microblog Poster automatically updates your social followers with each of your new blog posts, providing them a short custom message or post excerpt, along with a backlink to the page. The only drawback I’ve noticed with this plugin is the lack of Pinterest and Instagram support, which may be a drawback for some of you. I believe this is the most popular social media icon plugin out there right now. It’s great if you don’t like the lack of customization offered by similar widgets. It allows different icon sizes, drag and drop icon reordering (real nice feature), and in case you’re worried: you can make the widget static too; it doesn’t have to float if you don’t want it to. This plugin is great for keeping your home, archive and on-site search results pages neat and tidy, with easy to read excerpts from all your posts. It also offers 40 different “read more” button themes, which add yet another level of uniqueness to your website. You can choose your own excerpts or allow the plugin to auto-generate them for you. Very customizable for a free plugin! I wouldn’t pay for a plugin like this, but since it’s free I’ll definitely recommend it. This is great for new sites that you just don’t have the content ready for, or for when you have to take your site down for maintenance. It displays a custom “Coming Soon” or “Maintenance” messages for visitors, and allows a range of customizations using HTML5 and CSS3. This plugin would have been way more useful back in 2009, but it still has some relevance today. When you plug in your main keyword, Yoast goes to work scanning your post title, post content, page url, and meta description for that keyword, displaying the results in a checklist for you on the post editor page. It also offers Google search snippet previews, checks for sub-headings, sends sitemap images automatically to Google, and checks for alt tags in all your images. This is the only contact form plugin you’ll ever need. It’s free, easy-to-use, and supports multiple contact forms at once. It flawlessly supports Ajax-submit, Captcha, and integrates with Askimet for further spam protection. When one of your pages gets a nasty “404 Not Found” error, this plugin will redirect visitors to your home page, or a custom error page of your choosing. This is a great option that will reduce the amount of traffic lost due to broken links or oversights when content is moved. It will also notify you (if you wish) whenever a 404 occurs. This is a must have if you’re running multiple sidebar widgets on your website. You don’t need to pay a coder or waste your employee’s time. Anyone can use this plugin without a snippet of coding knowledge. There are many powerful options to make use of here. It allows you to customize different sidebars and footers according to category, page title, author, custom post type, and whole list of other parameters. This plugin will be relevant to any site owner so long as Google sits atop the search-engine-mountain! The Google Analytics plugin streamlines the registration and authentication process to get your site setup with tracking: See Analytics page. There are many more great (and free!) WordPress plugins, but before you install each and every one you discover, here’s some words of caution for you: Please make sure that you only install WordPress plugins you really need, and be sure that you monitor whether the plugins you installed are updated regularly. Many free WordPress plugins are not actively maintained, which means that they can be utilized by the bad guys to inject some bad codes into your sites. As always, premium WordPress plugins are charging you money for some good reasons, especially the fact that the plugins are continuously developed to continue to give you value months, even years to come. Thanks to share most valuable wordpress plugin its really helpful for my blog i have already use some plugin like yoast and 404 eror page and analytical. Andrew Scaife would love you to read ..Why is it so hard to rank well on Google? Thanks for sharing your video, Andrew. An affiliate marketer I know prefers SEOPressor as well. If you want to do a new compilation of must-have WordPress plugins for me I’ll publish it. You can link to your own site. Or publish it on your site and then do a guest post here to link to your other post. I would love to write for anyone and I’m doing for some blogs. However, Terms & Conditions of most of the blogs doesn’t meets with my opinion. UpDraft Plus for backup and restoration. W3 Total Cache for a better and faster performance. I have learned a very useful thing today, I am sure applying these plugins would improve the ranking and traffic of my website. Great Post, Very Informative. My only doubt is that will WordPress plugins work on other blogging platforms such as Blogger, Drupal, Tumblr, etc.? Nice list of free plugins. Never heard of Popup Ally. Might give it a try on future projects as I can see it is quite good. Thanks for sharing this article, Nice article and your plugin are best.This wordpress Plugins are really useful and should use in blog. i like the WordPress SEO by Yoast Cause onpage seo is most important for better ranking. Great list. I use a lot of these as well and some are new to me. Gonna take a look at them soon…! This wordpress Plugins are really useful and should use in blog. i like the WordPress SEO by Yoast Cause onpage seo is most important for better ranking. this plugin help you to fix your seo. i use most of them, but don’t you think using all these + the ones which we have already installed decrease the page load time and makes a direct impact on seo? Don’t forget about W3 Total Cache! Nice blog and plug-ins to boost the business with the WordPress development. I have an interesting WP plug-in that is useful for image scrapping. Cheers for the plugin. Perfect for a travel, hobby or design site, in my opinion. i have tried yoast and seo presser both but still not sure which one is better. Can you please put some light on this issue? thank you so much for quicker reply. Now i got the answer. These plugins which you have mentioned can be really helpful for the business. Great find friend. SEO is very important for any business. Hence, I would like to tell you the best SEO plugins. These are SEO ultimate or yoast plugin. WordPress SEO by Yoast is probably the best of all so far. nice article i have education blog and your tips are very helpful with me. thank you very much for sharing this amazing article with us and i hope it will benefit with me. Thanks, Dhuval. WordPress plugin posts are always useful. There are so many no one could know about all of them. My favorite is the GrowMap antispambot plugin because without it I get 100s to 1000+ spam A DAY. It is ridiculous! Thanks for sharing informative article, All the points really awesome basically WordPress SEO by Yoast, Its very helpful for me, kip it-up Dear.May god bless you. I am going to use watermark for my site. I think it can protect my image from the image theft. Thank you for sharing. A perfect plugin for an eCommerce site would generate traffic and keep customers hooked on your company through good content and constant interaction. Benchmark Email has a new easy to use plugin called Benchmark Email Lite that combines your WordPress site with the benefits of email marketing. You can install an email sign-up form onto any page (it actually scans the colors of your page and adjusts itself so that it blends harmoniously into your theme), track down analytics, and even send email-friendly version of your blogs posts straight into your readers’ inboxes. And all straight off your WordPress dashboard. And you can create unique content for your customers (newsletters, industry updates, ) so that your customers will find value in your blogs, therefore continue to seek your service and products. Thanks for the post Ivan. Really helpful especially as I have recently been setting up a few new sites and trying to improve my own. I cannot recommend Yoast enough I have found this to be a fantastic plugin with their (traffic light) scoring system really useful. I find it amazing that people are still not using wordpress, an incredible platform and certainly the future of website building. Another free plugin I would recommend is viperbar. I have had some really good results from this but am just looking to hide it from a few pages as only want it appearing at certain times! The best thing about WordPress is that you get plenty of plugins to chose from. Instead of SEO by Yoast i am using hyper cache. However, i will want to try PopupAlly, A good way to grab attention of a leaving user. Thank you for mentioning it. This is such a great list! I’m almost ashamed to admit that I wasn’t aware of over half of these plugins. I’m about to install Content Aware Sidebars and Easy Custom Auto Excerpt right now! No worries – there are plenty of plugins to choose from, and I missed many great plugins myself. Here’s the latest one I tried: SumoMe plugin. It connects WordPress with SumoMe’s ( SumoMe.com ) tools – powerful tools, such as email popup, social sharing, etc. available for free (pro version to remove branding). PopupAlly is new for me and i found it very useful. Can you please post some good plugins to fight against spam comments? WordPress is best CMS as it is good for SEO. We have so many plugins which help us in doing SEO of the WordPress website. WordPress has many plugins foe website improvement. nice word press plug in information thanks for sharing it. I was looking for something like the watermark plugin for my site. Right now I am just editing the pictures and putting a name on the bottom, but that is easily removed with any photo editor software. Wow Wow Wow I was searching watermark plugin you dont know what you have done to me thanks. Excellent post. I think many of them are used these plugins on their blogs but content aware sidebars is new for me. thanks for sharing such a valuable information. Thanks for sharing all this useful plugins. In my opinion everybody should have Yoast plugin! I would like to add for your list “WordPress Related Post”, an easy plugin that include some related post at the end of any post. It can help to keep your visitors in your website and reduce your bounce rate. I have used Yoast before and its a great plugin and most popular among the bloggers as well. But, what I have liked is the very first plugin named WATERMARK. Its the best plugin if someone is having an image based website which are original and they don’t want others to use for their benefits. It will surely help in Copyright issues. I think another great plugin that you should add onto your list is: “wordfence”. It is one of the best free security plugins out there! Security has been a big issue and everyday there are thousands of new threats but WordFence definitely helps young and new bloggers secure their site / startup. I’m also wordpress developer and use this plugins some plugins very useful for wobsite devlopment i like this post. Thank for sharing this post…. The wordpress plugin that you share pretty cool, I also have Google Analytics for WordPress application for my website, I will probably try to apply another war like you’ve introduced. Thanks for your useful post. I’m looking for a list of WordPress Plugins to my website. Fortunately, it’s really help me for making my website better. Hope to watch many your posts. A nice recommendation – thanks! Unless you have a clear call to action on your homepage, a 404 page can be designed to be really helpful if you give the user the ability and the invitation to explore your website more deeply, instead of just redirecting them to the homepage. Yoast plugin is really good! and its free! I tried Seo Pressor along with Yoast but unable to decide yet which is better. Really useful list of essential WordPress plugins. SEO by Yoast, Contact form 7, and Google Analytics for WordPress are pretty famous plugins. I’ve got most of these on my blog – which frankly has more plugins than I’d like to admit (30+).. Trying to cut down so probably won’t add the others, but thanks for sharing. Great article… Most of the plugins discussed are known and common from a long time like contact form 7 or google analystics. But get to know many new good plugins like Content aware sidebar. I second the Yoast plugin. I like that it gives me a sort of running commentary on my post content. And thanks for pointing out that 404 plugin. I’ve added that one to my list. ‘glad you like it! Yes, I particularly like Yoast – it’s probably the best free WP plugins so far. Powerful and very helpful. Ivan Widjaya would love you to read ..Sidewalk Signs are NOT Dead!